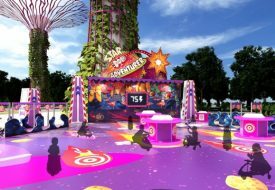 The 90th anniversary festivities for the world’s most iconic mouse have been going strong all year, anticipating the big birthday happened yesterday. It was on 18 November 1928 that Walt Disney introduced Mickey Mouse to the world. But did you know that the famous Steamboat Willie was not actually Mickey’s cartoon debut? Find out what his first cartoon really was, along with 14 other fun little nuggets you probably didn’t know about the well-loved Disney mascot. 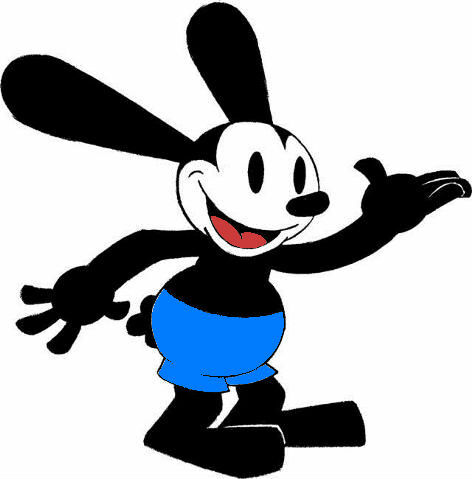 Before there was Mickey Mouse, there was first Oswald the Lucky Rabbit. In 1927, Walt Disney created Oswald as his first major and recurring cartoon character, which starred in a whopping 26 original Disney animated shorts. Many of them were lost, while one was officially recovered in Japan just two days ago. So how did rabbit become mouse? Due to an unfortunate legal dispute with his distributor at Universal, Walt Disney decided morph Oswald’s long floppy ears into circles, to create Mortimer Mouse. Wait, Mortimer Mouse? We can’t imagine our beloved mouse called by any other name, but it’s true! Disney had originally wanted to name him “Mortimer,” until his wife Lillian convinced him to change it. She said “Mortimer” sounded too arrogant, and came up with “Mickey Mouse” herself! We can’t thank her enough. When we think of Mickey’s legacy, we often think of the black-and-white scene of him wearing a sailor’s cap, whistling as he spins the wheel of a steamship. Steamboat Willie was indeed historic, as the first cartoon with fully synchronised sound. 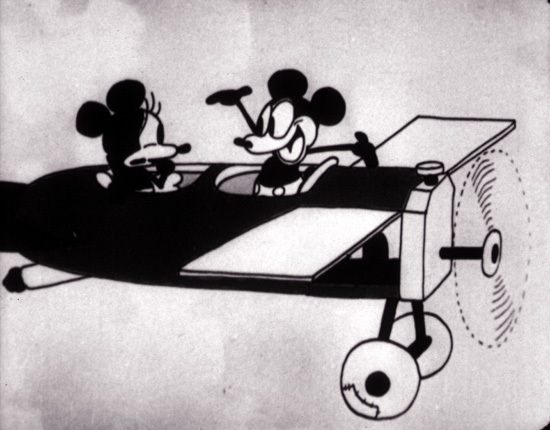 But it was the failure of Disney’s earlier silent cartoon starring Mickey, titled Plane Crazy, that pushed him to try out this revolutionary technology in “Willie.” And guess who was the one who did the whistling? Over the 90 years, a total of just five different actors officially voiced Mickey Mouse, starting with the OG Walt Disney himself. He provided the sharp whistling you hear in Steamboat Willie, and continued to shape that falsetto, super enthusiastic voice we come to associate with Mickey Mouse today. Disney even voiced Minnie Mouse for a while! Then, in 1946, Jimmy MacDonald from the Disney sound effects team took over the reins, followed by Wayne Allwine – who voiced Mickey the longest to date (32 years). Right now, Mickey is voiced by Bret Iwan and, in certain series, Chris Diamantopoulos. 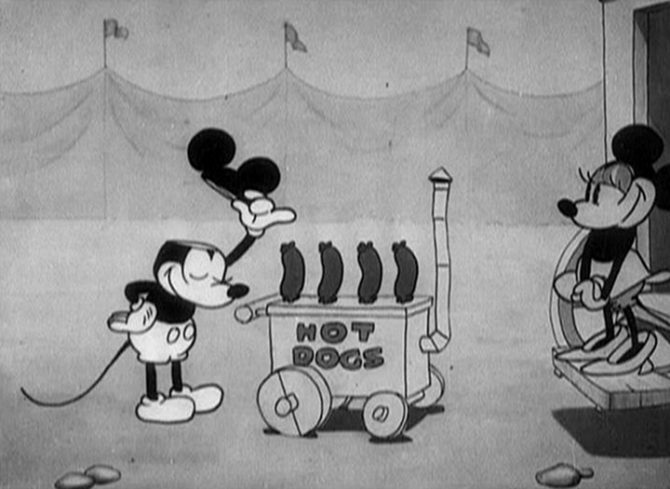 “Hot dogs!” That’s right – though Mickey whistled and laughed as a sailor and more, he spoke for the first time in the 1929 Disney cartoon Karnival Kid, where he was a hot dog vendor. But it wasn’t Disney’s voice saying that famous line, but composer Carl Stalling. That is, their voice actors did. 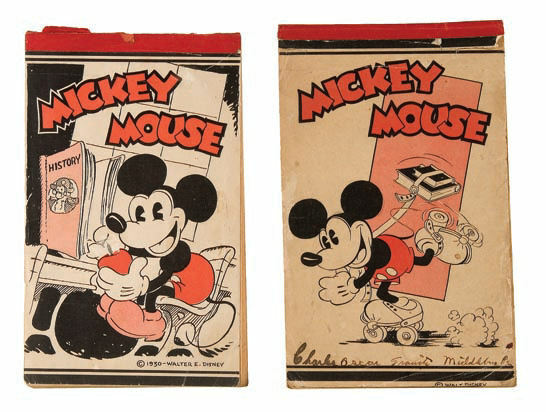 As Mickey turns 90, so does his loving companion Minnie Mouse, who has appeared in all his earliest cartoons beside him in 1928. And wouldn’t you know it, their relationship goes beyond the screen. 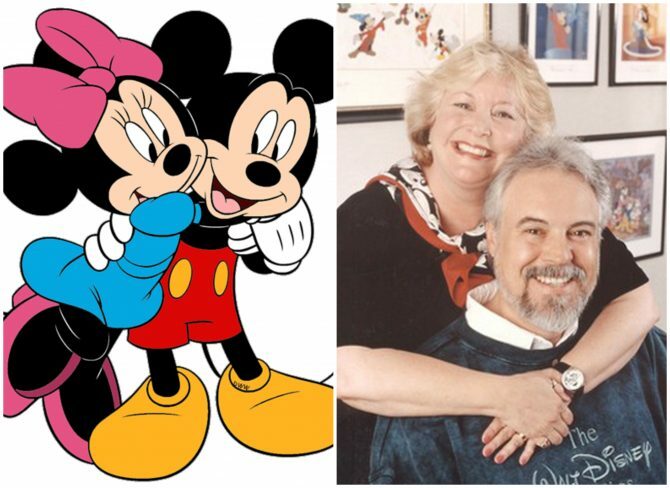 In 1986, when Wayne Allwine had settled into voicing the iconic mouse, he ran into Russi Taylor, who had just won the role of Minnie Mouse that very year, in the Disney Studios hallway. Their romance didn’t start right away, as they were both caught in unhappy marriages then. But when their marriages ended, they started spending more time together and ultimately tied the knot in 1991. Taylor continues to voice Minnie Mouse today. 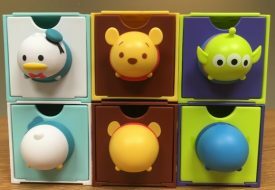 Nowadays, Disney merchandise are so ubiquitous and so pricey to obtain license for, at the same time. So it’s crazy to imagine that Walt Disney didn’t think of seriously marketing his creations until one day in 1929, in a New York hotel lobby. A man, who was making a children’s pencil tablet, went up to Disney and offered him 300 dollars in cash for the right to feature Mickey Mouse on his tablet. Needing the money, Disney agreed. 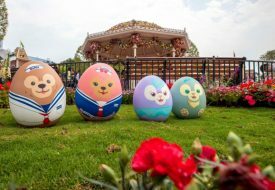 With the success of the tablet came more marketing deals, and soon Disney bloomed into one of the biggest merchandise programs ever. Scroll back up to the photos of Plane Crazy and you’ll realise that Mickey was not wearing his iconic white gloves in his first appearance. Nor did his eyes have pupils. The gloves didn’t feature in Steamboat Willie either, and were even yellow in the first full-colour Mickey cartoon, Mickey’s Garden. Believe it or not, even with marketing campaigns, the Disney mascot’s popularity was steadily declining in the 1930s. Disney animators wanted to make Mickey look cuter, and so gradually gave Mickey pupils and white gloves. They also gave his body a nice pear shape for better flexibility. As for the four fingers on his hands? “Five fingers looked like too much on such a little figure, so we took one away. That was just one less finger to animate,” said Walt Disney. You wouldn’t believe the millions that one less finger saves them, too! During that unsteady time of the 1930s, Walt Disney decided to create The Sorcerer’s Apprentice in an ambitious plan to give Mickey a comeback role. It became the most famous segment in Fantasia, featuring the mouse in magic blue pointed hat and red robes, running around to the classical music score. It opened to poor reviews in 1940, but the 1969 re-release helped to revive interest when Mickey’s iconic status once again waned. As we all know well, Mickey never truly lost his place in our hearts. 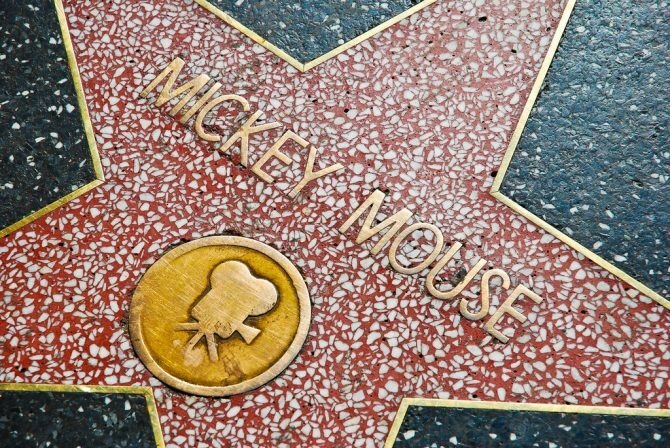 On Mickey’s 50th birthday in 1978, he became the first cartoon character to receive a star on the Hollywood Walk of Fame.